Magic, Creation, and Imagination! We have a tendency because of our upbringing and our society, we get older we tend to let go of our creativity. The people around us tend to tell us how we need to focus on a career that will provide finacial stability instead of a creative outlet. 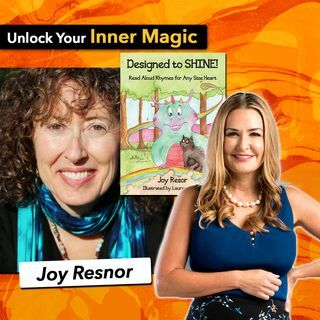 Joy Resnor joins Ashley Berges on Live Your True Life Perspectives. Joy's most recent book, Designed to Shine! Read Aloud Rhymes For Any Size Heart is not just for children! Whether you've been told you ... See More can't be something or someone or you've dealt with a abusive family dynamic, this show will ignite your passion again and will make you feel like a kid again!